With the emergence of Cloud computing has come new ways to share data within the organization and outside for employees and users alike. However, with new technology come new security and implementation issues. 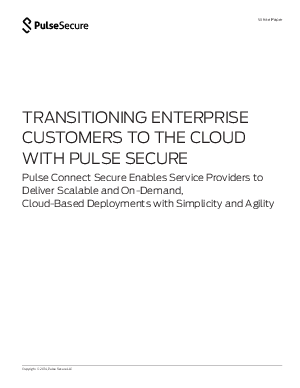 Download this whitepaper to learn how to transition enterprise customers safely to the cloud and see how this will enable service providers to deliver scalable and on-demand, cloud-base deployments with simplicity and agility.